The S.S. Gene Cernan, Orbital ATK’s eighth operational Cygnus spacecraft, closed out a 36-day mission on Monday via destructive re-entry – completing a 22-day stay at the International Space Station and deploying a series of small CubeSats after finishing its ISS resupply mission. With Monday’s re-entry, Cygnus ended a flawless mission that began on November 12 with liftoff from the Wallops Flight Facility atop the second Antares 230 rocket and its RD-181 engines that debuted on the previous Cygnus mission as replacement for Antares’ original engines that had been implicated as a culprit in the Cygnus Orb-3 failure of 2014. 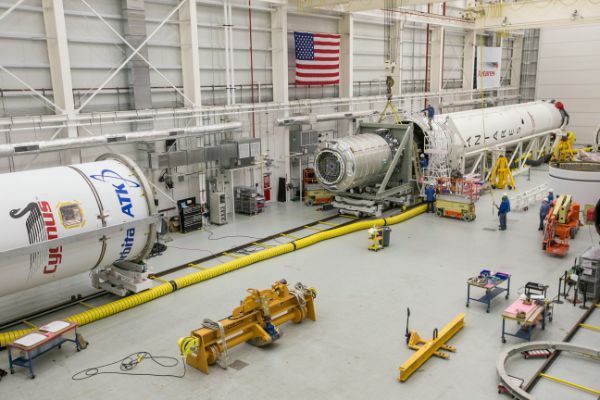 The mission was off to an excellent start, receiving a slight overperformance from the upgraded Antares rocket which will benefit future missions in the form of additional cargo upmass and/or performance margin. The Cygnus spacecraft, comprising an Orbital ATK Service Module and Italian-built cargo carrier, also received high-praise for this mission, performing flawlessly during its two-day rendezvous and three-week berthed stay at ISS, facilitating the delivery of 3,338 Kilograms of cargo, primarily focused on extending the Space Station’s consumables through mid-2018 and sending a number of new experiments up for the Expedition 53/54 crew. During its stay, Cygnus OA-8 participated in a demonstration of the “extended lab” concept wherein visiting vehicles can be used as an extension of ISS laboratory volume while attached. This involved moving the Space Tango TangoLab-1 module from Express Rack 4 into the Cygnus cargo vehicle for a week-long demonstration before being moved back to the ISS side. Additionally, Cygnus hosted a radiation experiment to characterize the radiation shielding provided by its structure. Cygnus, certified to stay berthed to ISS for more than three months, could be used as temporary laboratory module for stretches of weeks at a time before being loaded with trash and heading off on end of mission ops. 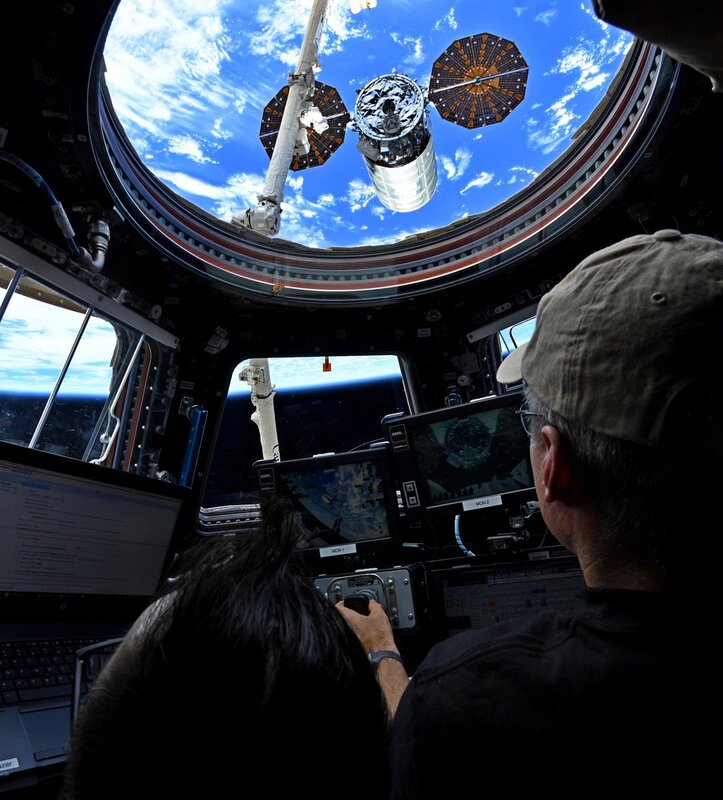 This may be of particular interest for experiments requiring very little crew attention or those that actively try to avoid disturbances from regular ISS operations. Over the course of its mission, Cygnus was unloaded by the ISS crew and its cargo was replaced with around 2,900 Kilograms of trash and no-longer-needed hardware for disposal – a new record disposal cargo for the Orbital ATK spacecraft. Cygnus was unberthed from the Unity module on December 5th and positioned above the forward section of the U.S. Segment to ‘hang out’ overnight, collecting radio interference and GPS data to verify future Commercial Crew vehicles approaching and departing ISS will have a solid lock on GPS and stable communications. Sent on its way on December 6th, Cygnus headed off on a 12-day free flight mission dedicated to the release of 14 CubeSats and a series of experiments to demonstrate Cygnus as a free-flying testbed for potential future customers. 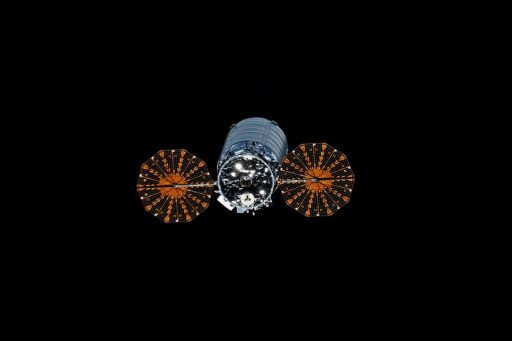 Within hours of its departure of ISS, Cygnus fired its main engine to raise its orbit by 50 Kilometers in order to give the CubeSats a longer orbital lifetime beyond around one year of usable lifetime when deployed directly from the Space Station. 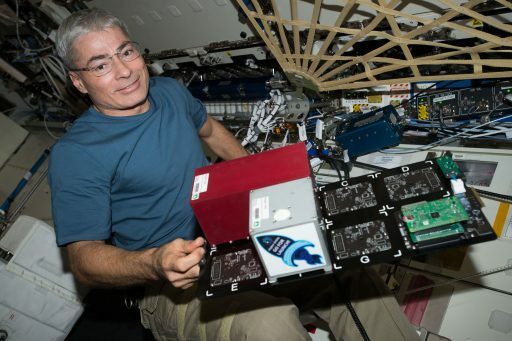 With the CubeSats deployed, the way was clear for Cygnus to complete a series of experiments on a prolonged free flight mission to demonstrate the spacecraft’s usefulness for experiments after departing ISS. One primary objective of the free flight was a test of actively modifying the craft’s internal pressure as some studies may be interested in operating at reduced pressure, e.g. NASA’s SAFFIRE in-space fire experiments. 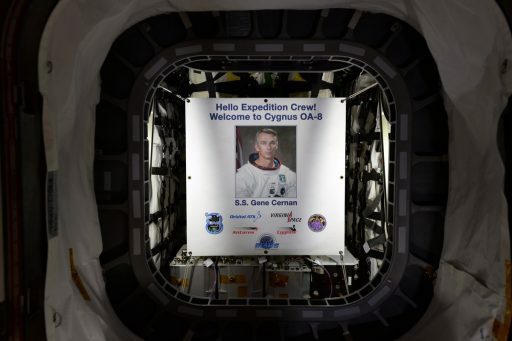 Cygnus, with its ability of flying on its own for several weeks, could be the answer for experiments considered too dangerous to be performed in a human spaceflight environment and can thus not be conducted on board ISS. The SAFFIRE experiment series lit the largest intentional fires in space to date to explore flame spread dynamics in a realistic environment and inform designers of future crew vehicles and fire safety systems – experiments that would not have been possible on a crewed spacecraft. 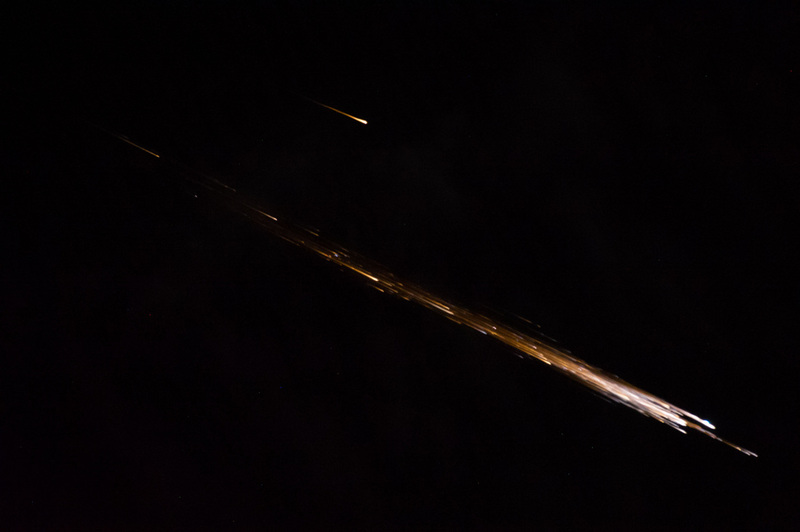 Approaching the end of its mission, Cygnus lowered its orbit to 373 by 393 Kilometers and again fired its engine on Monday to further dip the orbit’s low point to intercept the atmosphere for destructive re-entry over the Pacific Ocean. Orbital ATK confirmed Cygnus closed out its mission at 12:54 UTC via a safe destructive re-entry east of New Zealand after a mission duration of 36 days and 35 minutes. 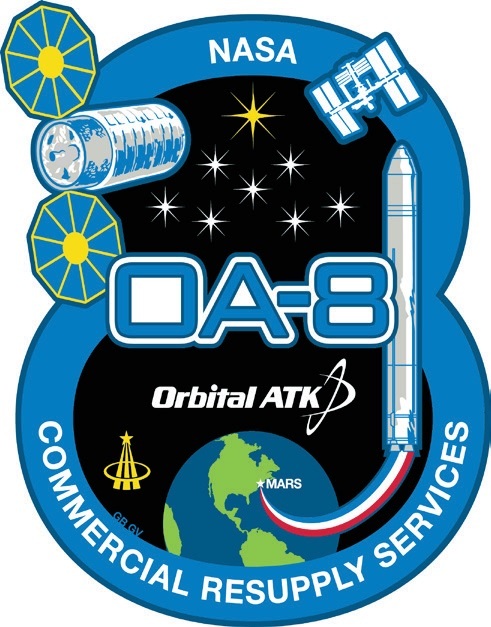 Cygnus OA-9, the next flight for Orbital ATK under the extended Commercial Resupply Services 1 contract, has a notional launch date of May 1st, 2018 per the current planning schedule for ISS; however, dates several months in advance are far from set in stone and can change based on operational factors.